Xactware's property reports offer a comprehensive overview of major trends in pricing and claims throughout the year. They are also an excellent reference for any professional working in the property insurance industry. Professionals who understand current pricing trends and other factors influencing their industry are empowered to make informed business decisions. 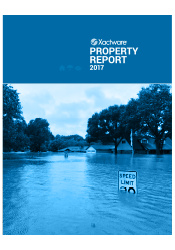 You can use Xactware's property reports to better understand last year's trends and prepare for the year to come. These property reports use information gathered from XactAnalysis, Xactware's industry-leading assignment and analytical network. XactAnalysis allows Xactware's in-house staff to measure and report on key indicators and the impact pricing changes have on material, labor, and other building costs.